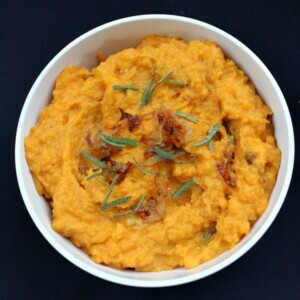 As if sweet potatoes aren’t enough… like I said… I added CARAMELIZED ONIONS. I could SWIM in caramelized onions. And BRIE CHEESE. 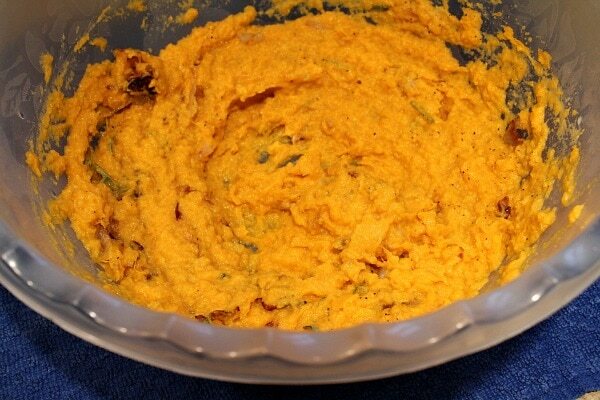 It melts into those sweet potatoes like butter!! And fresh sage, which I’m forever obsessed with. 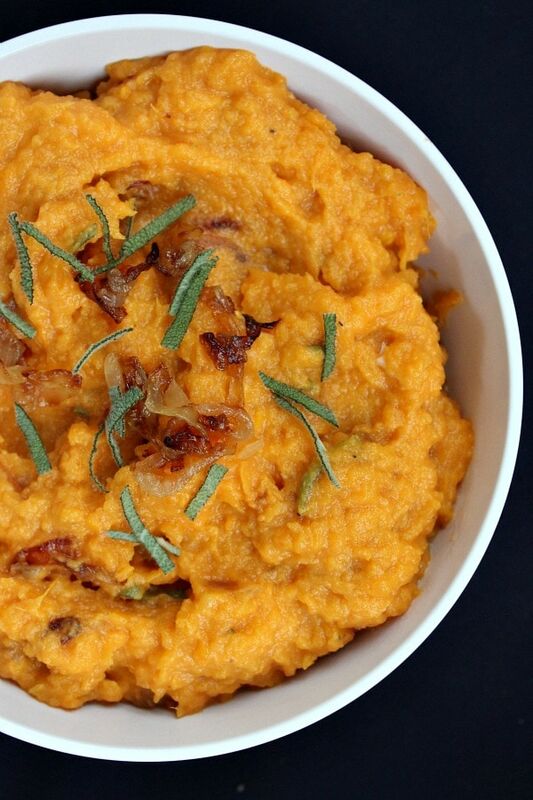 This recipe began with a debate about sweet potatoes and yams. The market where I bought these labeled them as yams. 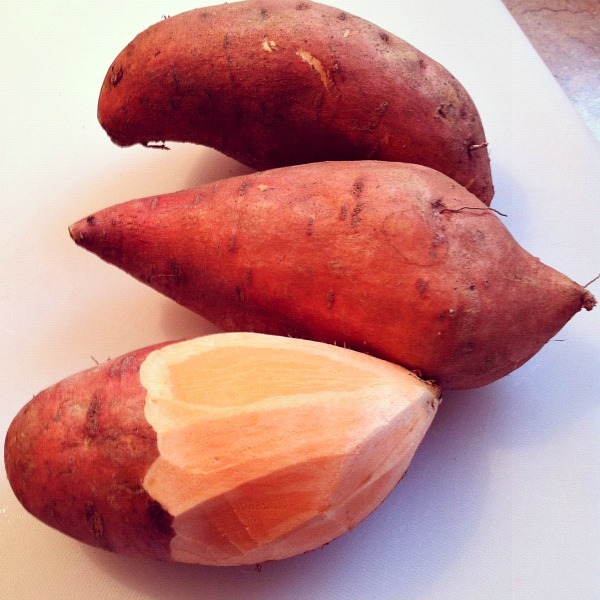 But most of my internet friends convinced me that everything labeled as “yams” in the US is actually a sweet potato. Whatever. I decided to call them sweet potatoes. Either way, they’re freakin’ awesome. 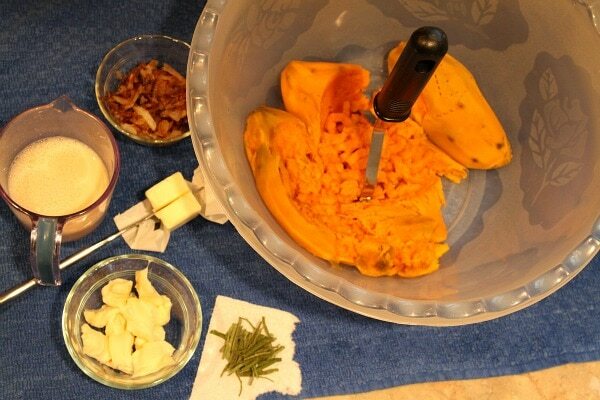 I peeled and boiled the sweet potatoes until they were tender. While those were boiling away, I caramelized the onions and got the other ingredients ready to go. Everything mashed together. At this point, I wanted to take this bowl in the closet, eat every single bite, and then lick the bowl. They were that good. Big hit. Clearly, I’m excited about these. Let’s take a little break in the recipe, and I’ll share my New England Thanksgiving vacation. 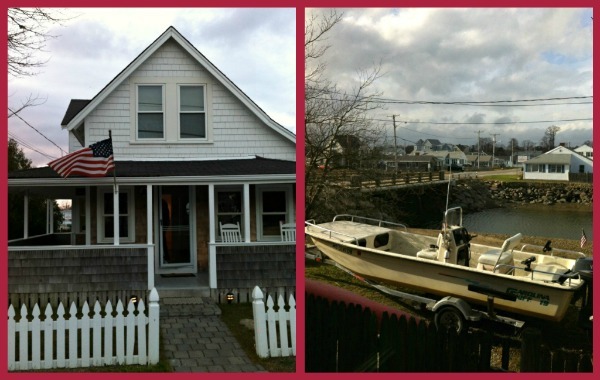 We rented this cute little house in the South Shore of Boston. It was across the street from the beach, so there was good walk-on-the-beach opportunity! The second photo was the lovely view from my kitchen- overlooking the canal! 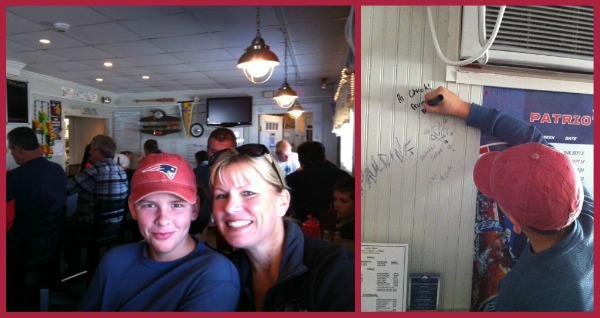 One of our favorite restaurants (Haddad’s in Brant Rock) was closing down its old restaurant in anticipation of opening their new restaurant. We were there on the final day to help them celebrate. They let everyone write messages on the walls and windows since the building will be demolished. 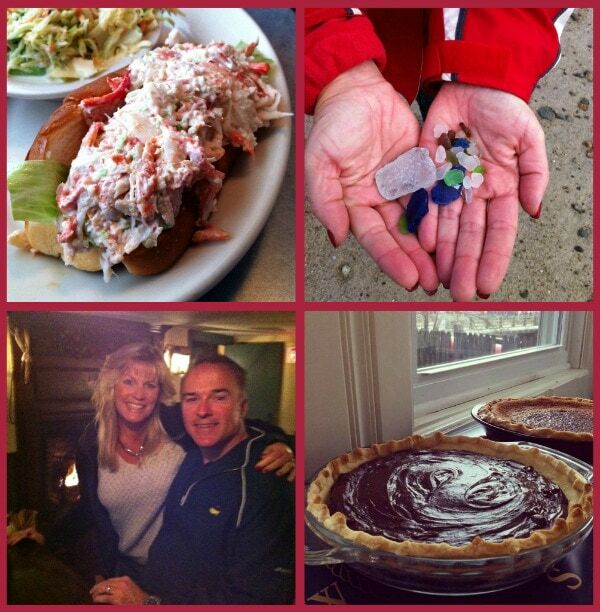 Had to eat a lobster roll, take walks on the beach to find massive amounts of sea glass, celebrate my husband’s birthday, and make some pies for Thanksgiving. See that chocolate cream pie right there??! I’m in love with that pie and will be sharing the recipe very soon!! 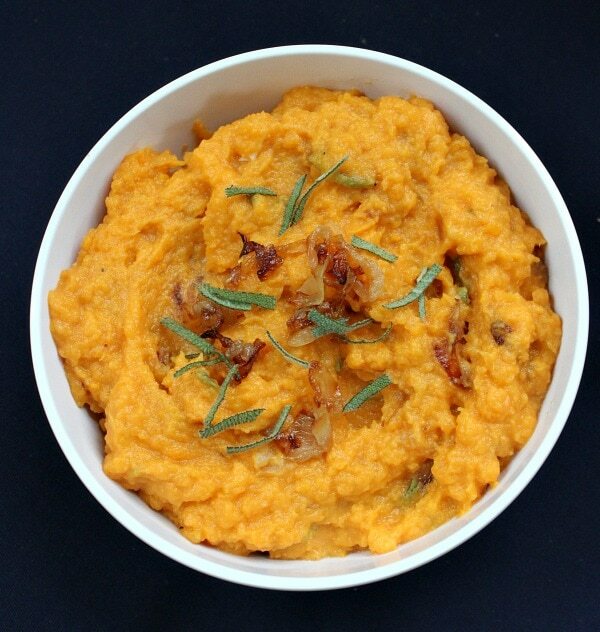 Everyone in my family gobbled up these mashed sweet potatoes alongside some roasted pork loin. The brie lends a delicious flavor to the recipe (if you’re a fan of brie, you can definitely detect that it’s there), and the caramelized onions add sweetness. I think the only thing missing is bacon. These would make a wonderful side dish to some leftover turkey, especially if you’ve already consumed all of your mashed potatoes. Enjoy! 1. Place potatoes in a large pot with boiling water. Boil 25 to 35 minutes, or until a fork can be pierced easily in the center of the largest potato. Move potatoes to a large bowl. 2. While the potatoes are cooking, prepare the caramelized onions. Heat the olive oil in a large skillet over medium-high heat. Add the onions and cook 15 to 20 minutes, stirring often, until they are browned and caramelized. Add the sugar in the final stages of cooking. Turn heat down to medium, as necessary. 3. Mash the hot potatoes with a potato masher until there are no visible lumps. Add the butter and brie and stir until melted and incorporated. Stir in 1/4 cup milk, adding more if the potatoes aren't thin enough for you. Then mix in caramelized onions and sage (save a little of each for garnish, if desired). Season to taste with salt and pepper. *for the Brie- cut off the rind, and tear/cut chunks until it amounts to about 1/2 cup. *to julienne the sage, stack several leaves on top of each other and slice into very thin slivers. *This recipe may be prepared up to one day ahead and warmed up in the microwave.